Happy Halloween From the Entire Lu's Labs Community! 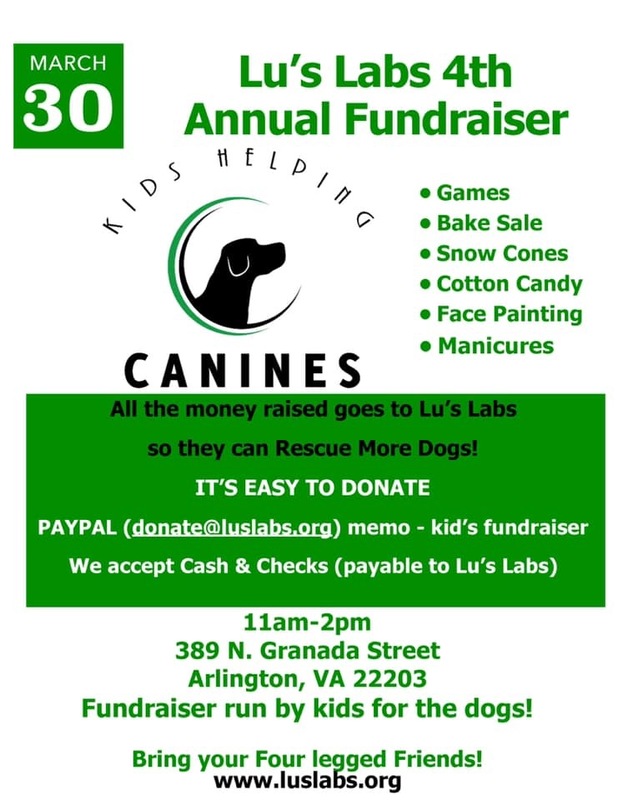 Lu’s Labs is not just a place to adopt a dog. It’s also an entire community of Alumni and dog lovers, volunteers, and board members who care immensely about the dogs that have been adopted. At Lu’s Labs we even have a private alumni page once you’ve adopted a dog through us. It is a wonderful place where new dog owners can get advice from our VP of Training, our VP of medical, or just keep in touch with their Adoption Coordinators of Fosters. Foster families always love seeing their previous foster dogs enjoying their best life. This is a place where the whole Lu’s Labs community comes together and gets to see pictures of other litter mates, share their trials and tribulations as well as successes as new and seasoned pet parents. Often times because of the inclusiveness of our community and our common love of the dogs, its only a matter of time before our adopters also get involved as volunteers - a foster, an adoption coordinator, a home checker, a bio team writer… the possibilities are endless in order to get involved and give back to an organization who has brought that warm fluff ball into your home and your life and it changes you forever. Recently when calling for pictures of a dog in a costume, the overwhelming response was a reminder of just how amazing the Lu’s Labs community is, and just how quickly they will pull together. In less than 24 hours we had an amazing album of dogs in costumes! So in honor of today, one of the few dog in costume day’s of the year, here is a wonderful album provided by our Lu’s Labs Alumni. Remember, with all the chocolate that abounds on a night like tonight, make sure to keep it all away from you furry friends. 5 Fall Fun Ideas with Fido! Summer time often means beach days, hikes, and outdoor play, as the weather starts to change beaches may be exchanged for other activities you can enjoy with your dog friends. 1) Enjoy the Fall Colors - As the air begins to cool this may be a perfect time to go for longer walks in the woods where heat exhaustion is less of a risk and you and your furry friend can enjoy the fall foliage and the changing of the seasons. Sniff the air for that tell-tale wood smoke and listen to the leaves crackle crisply under foot. It’s almost like heading off into the woods for a fall meditation with your dogs. Make sure to continue flea, tick and heartworm treatment as these pests are still around. Just because the air is chilling out, doesn’t mean the common pests that plague your dogs are. 2) Go for a Weekend Getaway – Take some time to enjoy a weekend away with your furry friend. Fall is often lower season for many pet friendly resorts so look at taking advantage of off-season prices. Find something that you and the whole family can enjoy – even your furry family members. 3) Enjoy the Great Outdoors – This is the time to romp and play, especially on clear days. As the leaves fall and you rake up piles play fetch or head off to a nearby dog park and enjoy some fetch. Always make sure your dog is up to date on all the needed vaccines. This will keep your fur pal safe during dog on dog interactions in public play areas. 4) Halloween Festivities – Check out the area for dog friendly fall festivals and Halloween parties, and find some fun attire for your dog. Giant spider? Ballerina? Fan dog of any sports team? Lion? Get creative and turn heads as you head out on the town with your costumed pal. 5) Snuggle Time by the Fire – If it’s cold enough get a fire going – inside or out. Roast your marshmallows, drink your hot cocoa and snuggle up by the fire pit, or under the covers on the couch with your dog. Turn on your season premiers, and scratch behind the ears because if it’s something you enjoy, your 4-legged best friend will enjoy it too! Seasons change, and so do the activities you enjoy, so why not include your dog in those. Their ultimate goal is just to be around their favorite humans. Okay, so there are only 5 shopping days left until Christmas (Do you think your dogs will really know the difference if their presents are late?) but if you love to spoil your dog, as we all do here at Lu’s Labs, here are some fun last-minute holiday shopping ideas you may think about so your dogs have gifts to open too. Amazon Smile: Remember when you use our link to Amazon Smile anything you purchase will help contribute to our rescue. Just search Dog Gifts for Big Dogs – Some of the fun things you can find there will still ship out in time for the holidays! Whether it's fun doggy Christmas stockings or boxes of toys, we’ve already preloaded the search in our link. Make sure you set up your donations to go to Lu’s Labs! Chewy.com: This is a great go to place for all things dog. Again, you can use our link and shop Chewy.com and they will donate to us with every great thing you get for your dog! Chewy's customer service is top notch and it's easy to set up a monthly shipment for food, supplies, toys and fun! With Chewy you get discounts with your monthly autoship and can move around the dates, manually ship now, push it out, and add to it! The Chewy system is very flexible. And you get free 1-2 shipping when your order is over $49. Petsmart: I’m sure you are no stranger to Petsmart, but did you know any online purchase you make through our link will also help the rescue? The great thing is you can save 5% on your orders when you order online and pick up in store. Right now for the holidays they have fun $5, $10, and $20 quick gift grabs to fill your puppy's stocking! All of these have a wide variety of toys, collars, treats, and more to keep your dog friends entertained during the holidays. Each of these links are set up to help give back donations to our organization! It’s a gift in itself when you shop through our links and help support Lu’s Labs. This holiday season shop for some great gifts for your pups and enjoy your holidays!